When we talk about the famous Greek personalities, one person we can’t afford to miss out on is Socrates – the ancient Athenian philosopher, who taught people ‘how to think’. During his times, the task of inculcating critical thinking in the society was way more difficult than what it is today. Those people who occupied the high positions in society were least impressed by Socrates’ efforts, as his philosophy questioned the very attributes on which the society was standing tall. Eventually, Athenians charged Socrates with impiousness, i.e. the lack of respect for God, and corrupting the minds of youth, which were back then considered to be very serious offenses, and sentenced him to death. That, however, was too late, as Socrates’ philosophy had already been rooted in people’s minds. In course of time, Socrates’ students ensured that his preachings reached everybody through their writings. The Socratic Method, also referred to as the method of “elenchus”, is by far Socrates’ most important contribution to the list of philosophy topics. It revolved around the basic concept facilitating discussion by posing a particular question to a group of people, and identifying and eliminating all the contradictory hypothesis to find the most suitable hypothesis in the lot. Socrates resorted to this method to question some of the basic attributes of society, including justice, good and bad, beauty, wisdom etc. Soon enough, he had a group of youngsters, including Plato, Aristophanes and Xenophon, who were eager to listen to him. Interestingly, most of our knowledge about Socrates’ philosophy can be attributed to the literary works of these three students of Socrates. Socrates Philosophies on Various Attributes of Life. Life: Socrates lived by the motto ‘know thyself’, as he was of a firm belief that an unexamined life was not a life worth living. He introduced the concept of ‘good life’ to the world, wherein the person’s way of living was characterized by thoughtfulness and critical appreciation. He defined good life as a life which was always guided by an inquiring and expanding mind. Socrates was strictly against the practice of following the primal instincts and old customs as a way of life in the guise of piousness. Education: Socrates divided knowledge into two types – ordinary knowledge, i.e. specific knowledge which was not much worth for the possessor, and higher knowledge, which involved the definition of words and concepts which were helpful in the quest for truth. His idea of education included interpretation of statements, examination of knowledge, learning from wise people, examining oneself as well as others and attaining moral knowledge. 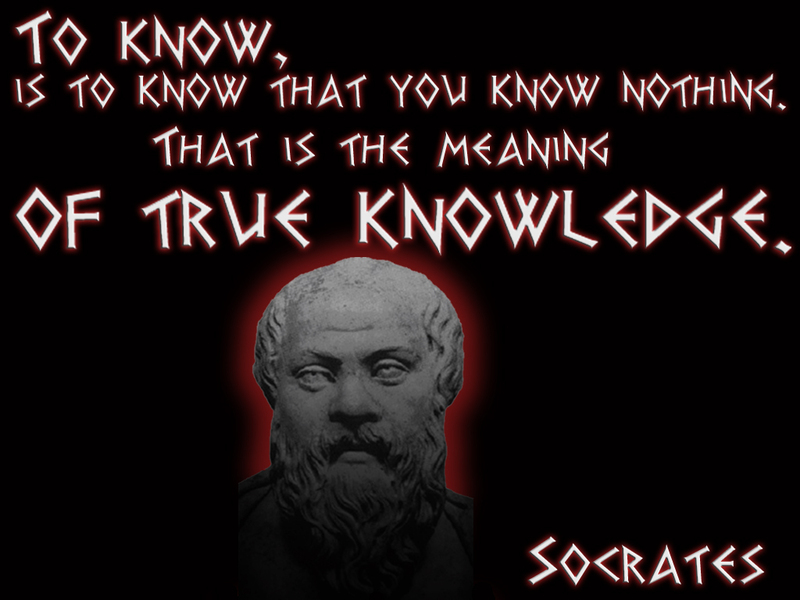 Interestingly, Socrates also believed that our quest for truth was blurred by our pursuit of any specific discipline. Love: Socrates was of the opinion that the love which we develop for ‘beauty’ can never be satisfied, until we die, and therefore one should go beyond the outer stimulating image that can be seen and contemplate beauty in itself. According to the Socratic version, love was an epiphenomenal entity, which was generated by our physical actions, but seldom grasped by our mind or language. Death: Socrates believed that there was no point in being afraid of some unknown concept such as death. He was of the opinion that death may either be deep sleep, wherein the person experiences complete relaxation of body and mind, or transmigration of soul from one body to another. Socrates though that the second option was ideal, as it allowed the person to get more and more knowledge. Owing to the fact that none of these philosophic principles were documented by Socrates himself, we have to rely on the information provided in the secondary sources – such as the writings of his students. Add to it the fact that these literary works are interpreted by different people in different ways, it becomes all the more difficult to ascertain the facts. That being said, you shouldn’t be surprised if you come across different sources giving different explanations about the philosophical principles followed by Socrates.